Stoni Ann Blair (b. 2000) and Stephen Gage Berry (b. 2004) were murdered by their mother, Mitchelle Blair. The children, along with their older sister (b. 1998) and younger brother (b. 2007), were homeschooled. Both of the surviving children reported severe physical abuse, including beatings with wooden planks and extension cords. Blair told police she beat and scalded Stephen for two weeks before his death in August 2012. She also told police she starved and tortured Stoni for a week before strangling her to death in May 2013. 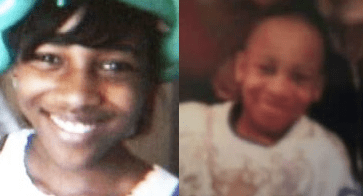 Blair placed Stephen and Stoni’s bodies in a freezer inside the home, where they were discovered in March 2015 by an eviction crew. Blair was charged with child abuse, torture, and murder.